The invention of the balloon struck the men and women of the late 18th century like a thunderbolt. From August to December 1783 enormous crowds gathered to watch one balloon after another rise above the Paris rooftops, carrying the first human beings into the air. The excitement spread as daring aeronauts took to the sky in cities across Europe. The balloon was proof that the twin enterprises of science and technology could produce what looked very much like a miracle. The objects in this exhibition represent a portion of the rich collection of Evelyn Way Kendall and her husband, Henry Plimpton Kendall. The Kendalls were among the great American collectors of their generation. From the early 1920s to the 1960s, Mrs. Kendall amassed over 1,000 works of art, prints, posters, objects, manuscripts, and books documenting the history of flight. 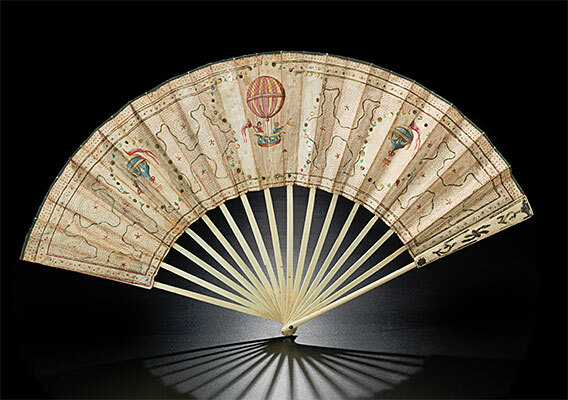 The treasures in her collection provide a sense of the wonder and excitement experienced by those who witnessed the birth of flight over two centuries ago. The Evelyn Way Kendall Ballooning and Early Aviation Collection is a generous gift of the Norfolk Charitable Trust, which also supported the exhibition.